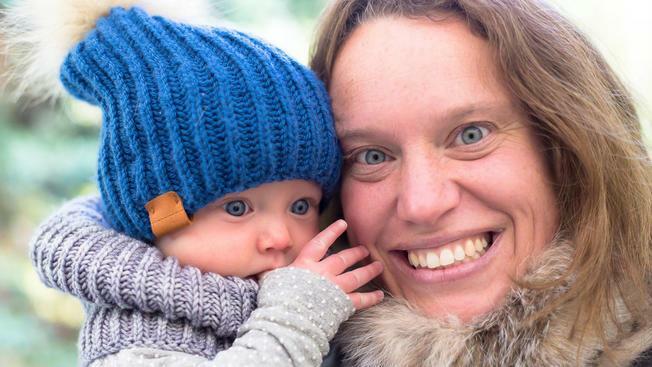 A tragic discovery was made in a remote area of northern Canada where a woman and her 10-month-old child were killed by a Grizzly bear, according to the Yukon Coroner's Service. The victims of the attack were 37-year-old Valérie Theoret and her 10-month-old baby Adele Roesholt. Both Theoret and the infant were found deceased Monday at a remote cabin that they shared with the baby's father, Gjermund Roesholt. The couple had been living together for the last three months, according to a news release by Chief Coroner Heather Jones. The area where the cabin is located is 250 miles north of the territory's capital Whitehorse. Whitehorse is near the British Columbia border and Gjermund told investigators from the Royal Canadian Mounted Police he had been out trapping during the day when he was charged by a bear around 3 p.m. He told the investigators he was forced to shoot the bear and kill it. Jones continued, "Upon returning to the cabin he found the bodies of his wife and child just outside of the cabin. It appears they had been out for a walk when the incident occurred, sometime between 10 a.m. and 3 p.m." Theoret was on vacation for maternity leave from her job at Whitehorse Elementary School where she taught. A friend of the couple named Remy Beaupre told CBC they had bought the cabin about three years ago. "It was the plan all along to go there and spend a lot of time there, but Vale​rie couldn't really take a lot of time off because she was a teacher," Beaupre explained. "Being on her maternity leave, now was the opportunity for them to all go as a family. So they just took their baby and went out on the trap line. They were, I'm 100 percent sure, well-prepared for anything that could have happened. But, you never know." and some wonder why environmentalists are nutty to animals more rights than people? Maybe a few hundred of those wackos should be strategically placed in the wilderness to ensure a steady food supply for their buddies the bear? Yeah, lets just kill all predators, Gilligan. The people were in the bears territory spud, not the other way around.